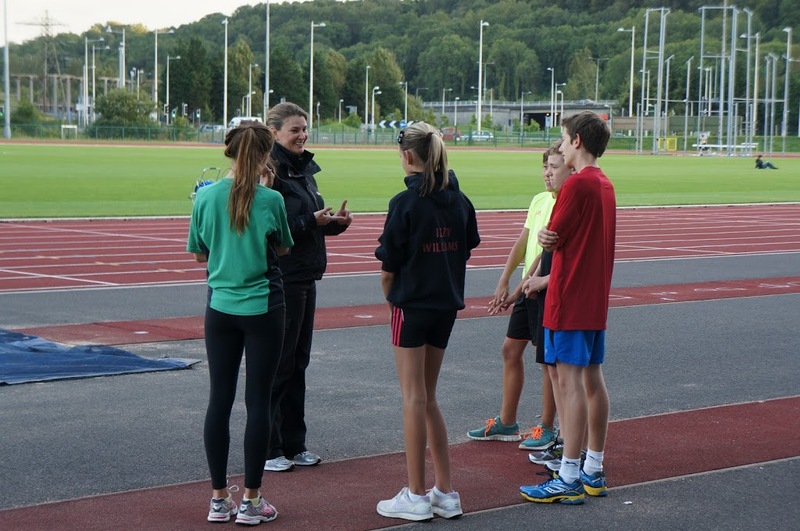 Last night I had the pleasure of working with some great kids aged 13 -16 and their athletics coach down at the track, and I just wanted to share some observations on relaxation, as it something that many coaches routinely try to achieve in their young charges. For a young athlete to be able to physically relax, they need two things. They need to be able to sense themselves in the present moment, and they need to be able to connect throughout their bodies. Starting a session with slow jogging and easy work with a focus on releasing tension seems logical, but can actually drop a child’s global activation through their boots. Long ground contact times, sloppy footwork and switched off posture are common responses, and the child becomes even less prepared for the session ahead. More and more children seem to be unable to “hear” their bodies unless they are creating high muscle tension, so asking them to relax can actually just switch their engines off. If you replace this with dynamic work with a sensory component, everything changes. Whether the child presents as low tone (switched off) or high tone (too switched on), feeding sensory input into the body recalibrates muscle activity, increases their awareness and starts to bring the mind into focus in the body. Spark them up, get them feeling their feet as they contact the ground, and sensing their arms, legs and torso moving, twisting, and bending. Introduce some cross body coordination (believe me, you will be surprised at how badly they do with simple patterns that cross the midline), focus on hearing and feeling rhythm … There are countless possibilities, but the main principle is that their minds are in their bodies by the end of warm up. You will see the difference. One of the girls last night was a typical low tone, “gravity is too heavy” young adolescent, all arms and legs, heavy into the ground and lacking in ability to accurately place her limbs. A short blast of activation, and suddenly she was launching off the ground and nailing the hurdle drills. Result! Warm ups are not routine exercises to get through before starting the “real” session. They are what make the magic happen if you get them right. If as a coach you think that you can’t afford the time, let me tell you, you cannot afford not to. Whenever a coach has met my challenge of testing his or her beliefs about warm ups, every one has come back saying that the quality of the session work is so improved after a thoughtfully prepared preparation that lights up their young athletes that they are actually going to do even more of it! So to help your child athletes relax, bring them first into their bodies. By age 9, many of them arrive at training with all the energy and noise in their heads and no sense of their body. Learning to actively feel and understand their body can be an intrinsic part of training, can improve results within training, and is a gift that extends beyond finish time at the track. Want to learn more? Join one of our professional movement and rehabilitation courses to expand your skills and effortlessly JEMS® techniques into meaningful, effective clinical practice.